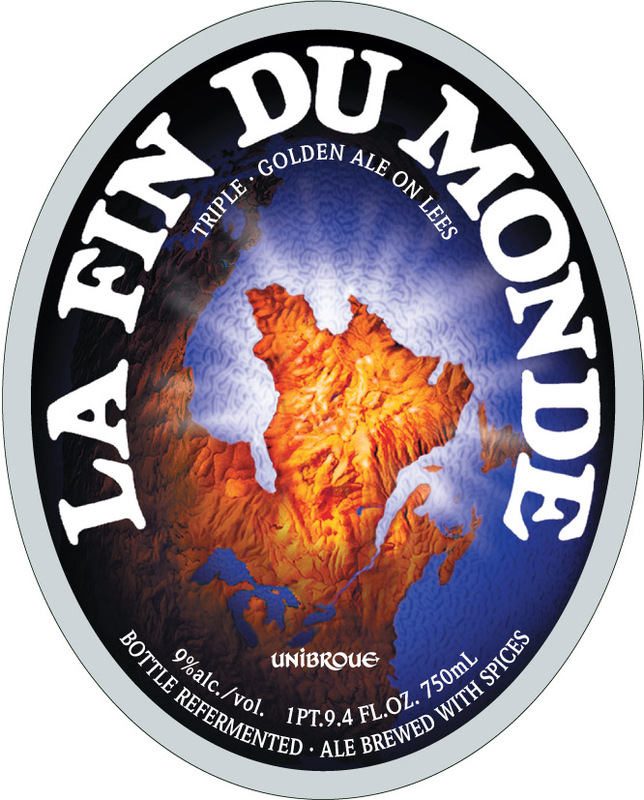 La Fin Du Monde (yea, another beer) - Commercials I Hate! I know I just wrote up 'a real beer for the common man'...but then I find I MUST point out possibly the best available beer in North America which, after one taste, not one person would believe this miracle or nature comes from North America, much less could be made by a human. I literally got into a fistfight with an 87-year old lady over the last bottle - and lost . While she may have enjoyed her last beer on this earth, I will live another day to enjoy another beer - yea, the bruises are fake. I let her win! I do enjoy my friends...as the days go by, there seem to be fewer of them...but I have two special friends. They are close brothers who are just a real joy to sit down and drink too much with - and they know their bars. During my last visit to The Den, I met up with them in Irish-side of Buffalo for a few drinks, only to find they took me. I was busy explaining to them at beer #4 or so how I was going to have to get a temporary residence in this neighborhood because, as a good ol'Irish Catholic, I could sit & sin with my own kin...and I'm right next to Our Lady of Victory Cathedral (which, in my eyes, rivals any number of European cathedrals), so I can be saved every stinkin' Sunday! Doncha know - one of the brothers I have worked with for 12 years...the other I always invite because the two are incredible, hilarious people. They finally tell me I'm wanting to settle down in the very neighborhood they grew up in. About the time THAT 'bus hit me', they took me to THEIR bar and introduced me to the owner, a newfound friend - especially when he handed me a La Fin Du Monde and said "Welcome To The Neighborhood". Stocked right in his cooler. There is a heaven and I'm going to get an apartment there.